They were a highly advanced, interstellar species who brought amazingly useful and sophisticated technology to the human race. There was, of course, a catch. The Gurus warned of a far more malevolent life form, beings who have hounded the Gurus from sun to sun, planet to planet, across the cosmos. Pundits have taken to calling them the Antagonists-or Antags-and they have already established a beachhead on Mars. For all they've done for us, the Gurus would now like our help. But from the moment they're dropped through the thin Martian atmosphere, their mission goes horribly, terribly wrong. From a group of female special ops Skyrines with secret orders, to mysterious humans who've settled on Mars, to the overwhelming and highly-reinforced Antags themselves, Venn and his brothers will face impossible odds just to survive-let alone make it home alive. 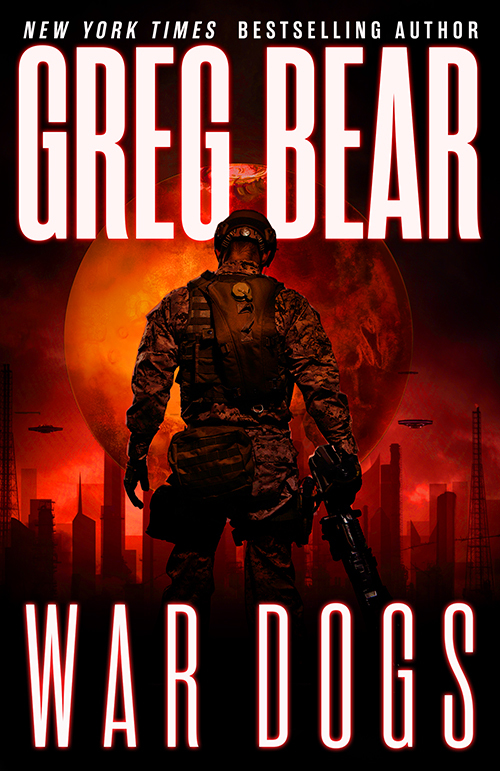 Greg Bear visited the University Bookstore in Seattle, WA on October 20, 2014 - Watch a video of the reading.